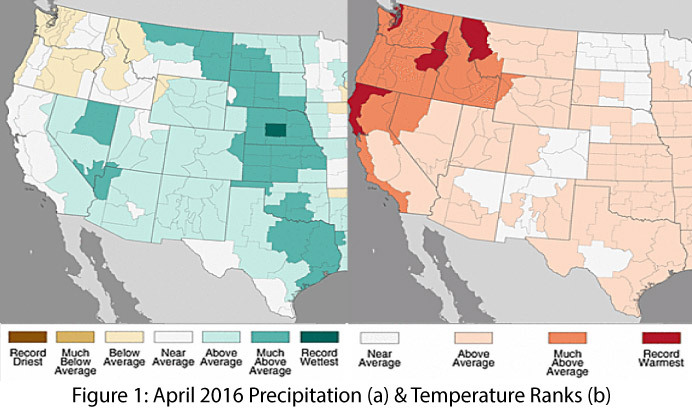 Precipitation & Temperature: Across most of the Southwest, April 2016 precipitation totals were above average (Fig 1a) and temperatures were average to above average (Fig 1b). Over the past 30 days, the Southwest experienced a minor cooling trend, with much of the region recording below-average temperatures (Fig. 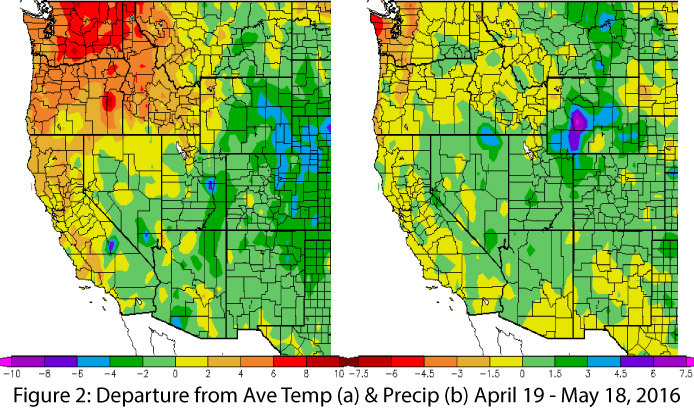 2a) and a mix of above- and below-average precipitation (Fig. 2b). 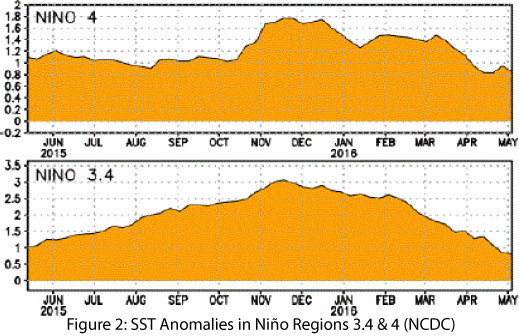 Increased rainfall and below-average temperatures are a welcome, albeit temporary, break from the typical warming and drying trend observed in late spring and early summer.